The political Left’s shift of stance on free-speech and what the catalyst was for this shift. Examples of the shift, such as the IRS’ targeting of Tea Party groups. The politicization of government agencies like the IRS, FEC, and SEC by the Obama administration. 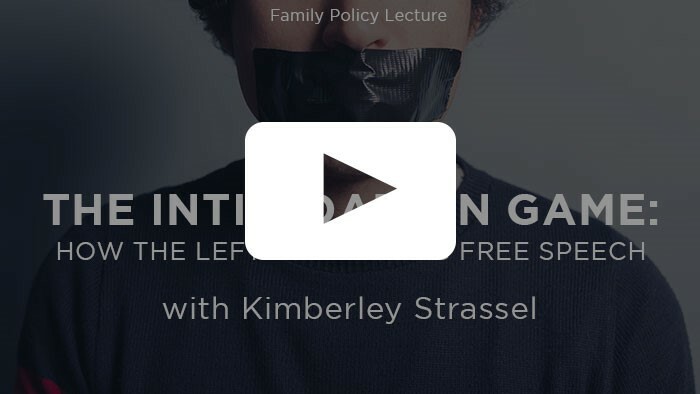 This video lecture provides valuable insight into the political Left’s shift on free speech and free association and how this developed into tactical intimidation to quiet their political opponents. Strassel provides concrete and startling evidence to show how the Left may not actually be the party of free speech. « Sign the Petition to Remind Senator Sanders that Faith <em>Is</em> What Our Country Is About!